KEN and Sarah Ramsey have had plenty of rich rewards from their stallion Kitten’s Joy, a horse they raced and then backed to the hilt when he retired to stud. They have raced plenty by the son of El Prado, but Ken Ramsey rated Bobby’s Kitten (USA), who shuttles to Twins Hills, Cootamundra, in the new season, as “probably the best by the sire I’ve ever raised” after the horse’s Gr.1 victory. Ken and Sarah had great success with Bobby’s Kitten (ex Celestial Woods by Forestry), who counted the $US1m Breeders’ Cup Turf Sprint-Gr.1 (6.5f) at Santa Anita Park at three in 2014 among his six wins. In 2016 he won his first European start, the Cork Sprint Stakes-LR (6f) by 8.5 lengths in preparation for the big sprints at Royal Ascot. However the ease of that success was enough to prompt influential breeder Kirsten Rausing to make an offer for the sprinter-miler for her Lanwades Stud at Newmarket where he covered his first book earlier this year at £12,500. His Australian fee is $16,500. Trained by Chad Brown in the US, Bobby’s Kitten had four starts at two, winning twice and running third in the others. He was third on debut at Saratoga (8.5f) on July 27, 2013 and made no mistake late the following month when he won a $US95,000 Maiden Special Weight event at the the same track and distance by 2.75 lengths. He stepped up to black type company on October 6 and made every post a winner in the Belmont Pilgrim Stakes-Gr.3, racing home 6.25 lengths ahead of runner-up Shadow Dancing and running the 8.5f (1700m) in 1:42.37. His final start of 2013 came on November 1 when he was third in the Breeders’ Cup Juvenile Turf-Gr.1 behind Outstrip and Giovanni Boldini at Santa Anita. He resumed the following March with a win in a mile Allowance at Tampa Bay, beating Global View, and was then unplaced in the Keeneland Blue Grass Stakes-Gr.1 (9f) before a strong win in the $US500,000 Penn Mile-LR on May 31, running 1:35.82 and leaving Global View 2.75 lengths astern in second. Tried over 10f for the first time, he was unplaced in the Belmont Derby-Gr.1 on July 5 and was then a length second in the National Museum of Racing Hall of Fame Stakes-Gr.2 (8.5f) at Saratoga behind Wallyanna and then third in the Woodbine Mile-Gr.1 behind Trade Storm on September 14. Although he’d never raced at less than a mile (1600m), connections then aimed the colt at the Breeders’ Cup Turf Sprint-Gr.1 (6.5f) on November 1 at Santa Anita. He was always well back and last in the field of 14 at the half mile on the down hill turf course as the leader Reneesgotzip sped through the first quarter of a mile in 21:69, then 43.67 for the half mile and 1:06.70 for the first six furlongs. That speedster was passed by No Nay Never in the straight, just as Bobby’s Kitten began a a huge late run that saw him get up by a half length from No Nay Never, with Undrafted, subsequent winner of the Diamond Jubilee-Gr.1 at Royal Ascot (Brazen Beau second), a nose back in third. His World Thoroughbred Ranking was 116 after that win. “Joel rode him perfectly, he knows this course so well and that’s one of the big reasons we put him on the horse,” trainer Chad Brown said. Off the scene until the following August, Bobby’s Kitten was unplaced in a 7f Gr.2 event at Woodbine and then in the Keeneland Turf Mile-Gr.1 in early October before lining up for his second tilt at the BC Turf Sprint-Gr.1 at the end of that month, this time the event was run at Keeneland over 5.5f. He was fourth behind Mongolian Saturday after a troubled run and then connections shipped him to the UK where there are so many more options for turf sprinters. Kitten’s Joy (El Prado-Kitten’s First by Lear Fan) was Champion Turf Male in the US and won nine of his 14 starts and more than $US2m, the Joe Hirsch Turf Classic Invitational-Gr.1 (12f) and the Secretariat Stakes-Gr.1 (10f) and he was also runner-up in the Breeders’ Cup Turf-Gr.1 and Arlington Million-Gr.1 as well as being a Gr.2 winner at 8f. He has sired about 500 winners (73SW) and was Champion US Sire in 2013 as well as regularly claiming the Champion Turf Sire accolade. a grandson of Sadler’s Wells and has also crossed well with mares carrying further strains of that horse or his three-quarter brother Nureyev. This is also the family of Northern Meteor, whose daughters should suit. He’s also worked well with the Mr. Prospector line including via Grand Slam, Fappiano and Fusaichi Pegasus (USA), and with the Storm Cat and Halo lines. His second dam is by l’Enjoleur, a son of Buckpasser and the outstanding Northern Dancer daughter Fanfreluche who features in Australian pedigrees as the third dam of Flying Spur and fourth dam of Encosta de Lago. As the former is a son of Danehill, a horse who has worked well with El Prado son Medaglia d’Oro (USA), the cross producing Golden Slipper hero Vancouver, and the latter is by Fairy King, a brother to Sadler’s Wells, mares with this breeding are sure to complement the new Twin Hills stallion. El Prado (Sadler’s Wells-Lady Capulet by Sir Ivor) was the Champion 2YO in Ireland where his wins included the National Stakes-Gr.1 and he became a champion sire in the US against all the odds in a country where turf racing plays second fiddle to dirt. His line has worked well here through shuttlers Medaglia d’Oro and Artie Schiller (USA) and Bobby’s Kitten certainly has the credentials to join them in this success. Bobby’s Kitten is from the multiple winner (1100m-1700m) Celestial Woods, a daughter of the Storm Cat horse Forestry, a horse whose dam is by Pleasant Colony, a Champion 3YO Colt who won the Kentucky Derby and whose sire is a son of His Majesty, dam sire of Danehill. 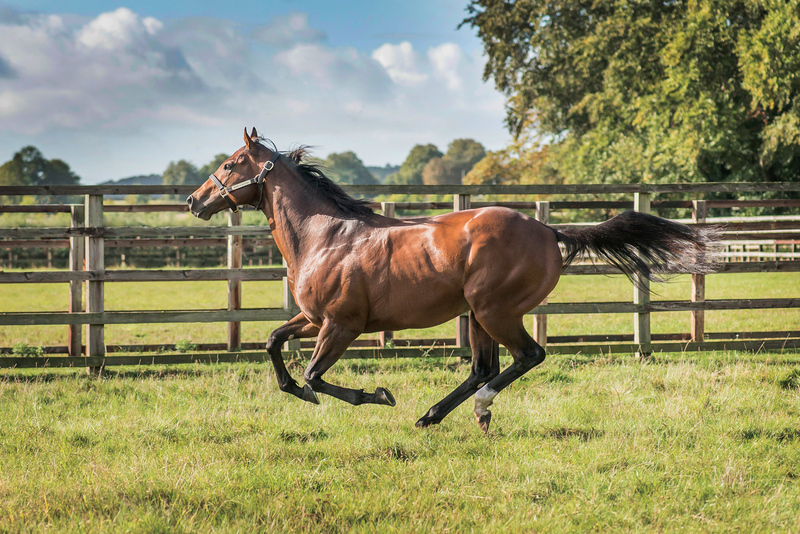 Celestial Woods has had four to race, all winners, including Gr.2 winner Camelot Kitten and Listed winner Major Magic, both also by Kitten’s Joy. Second dam Celestial Bliss is by the In Reality horse Relaunch and she left five winners. Her daughter Blissful Song (Unbridled’s Song) left South American Gr.1 winner Sixties Song to a mating with Sixties Icon (Galileo) and Gr.2 winner Celestial Candy (by Candy Ride, a great-grandson of Fappiano, also grandsire of Unbridled’s Song). North of Eden (Northfields), third dam of Bobby’s Kitten, left 10 winners including the Champion US Turf Colt and sire Paradise Creek (Irish River), a four-time Gr.1 winner; the Gr.1 winner and sire Wild Event (Wild Again), the Gr.1 winner and sire Forbidden Apple (Pleasant Colony) and his stakes winning brother I’m Very Irish, also a sire. Her daughters Eden’s Causeway (Giant’s Causeway) and Paradise River (Irish River) produced the Gr.1 winners Eden’s Moon (Malibu Moon) and David Junior (Pleasant Tap), also a sire, respectively. North of Eden’s dam, Tree of Knowledge (Sassafras-Sensibility by Hail to Reason), was also an exceptional broodmare producing the outstanding racehorse and sire Theatrical (Nureyev), US Champion Turf Horse in 1987 and Gr.1 winner and sire Taiki Blizzard (Seattle Slew). Her sire, a grandson of Precipitation, was Horse of the Year in France and Champion 3YO Colt in 1970 who won the French Derby and defeated Nijinsky in the Arc de Triomphe. Her dam Sensibility was also a noted producer and is by Hail to Reason and from juvenile winner Pange (King’s Best-York Gala by His Grace), dam of Champion Italian 3YO and sire Prince Royal (Ribot), winner of the Arc de Triomphe; and second dam ill-fated US Champion Juvenile Filly Landaluce (Seattle Slew). This is family 3h and York Gala is a half-sister to Cambridgeshire Stakes winner Artist’s Prince (Artist’s Proof).